Sport is why I'm here. specifically football and rugby union. Leading up to the Rugby World Cup, it will be vital to have a plethora of players to choose from that are fit and ready to go – even if they are playing 20 minutes off the bench. The AFC has one of the largest continental competitions in the world: AFC Champions League, AFC Cup. Unfortunately it’s not competing like it. Should New Zealand join the AFC? 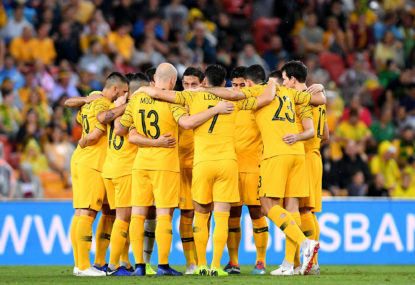 Should New Zealand follow the path of the Socceroos and remove themselves from Oceania or remain as its most competitive and highly-ranked nation? Australia is quite an adept country when it comes to sport. In many ways, we could be viewed as punching above our weight. Do the Socceroos need a new coach again? 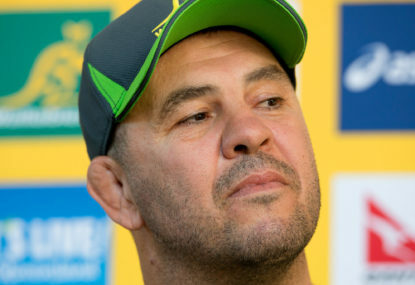 Is 2019 the Wallabies' year? We are seeing a similar pattern with the Wallabies. 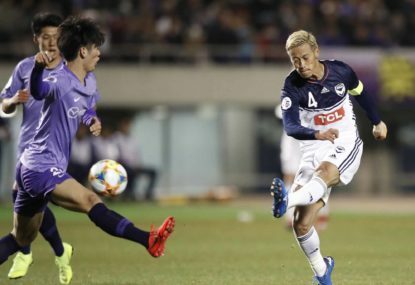 Why doesn't Australia compete in the AFF Championship? Australia joined the ASEAN Football Federation, also referred to as the AFF, back in 2013. 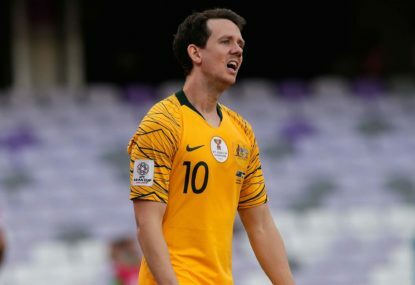 Can Australia win the 2019 AFC Asian Cup? When Australia played South Korea on the 31st of January 2015, there was a buzz around Sydney. It was an excitement that Australia has never had before. I think after a poor performance from the Sharks at home against the Jaguares, the Reds have an opportunity to snag a win. It’s certainly not going to be easy, as the Rebels lost to the Sharks a few rounds ago. As for the Brumbies. Winning at home against a underperforming Lions is one thing, but winning in South Africa is another, especially against the Stormers. Also, I can’t see the Waratahs winning against the Rebels, despite it being a home game. The Waratahs are hungry for a win, however, with the added debacle over Israel Folau, I think the Rebels are a stronger team and will take the four point away from them. With Folau most likely not playing for the Wallabies, No. 15 will probably be Hodge. 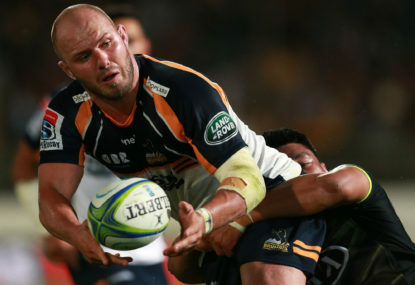 Which could also open up an opportunity for Alex Newsome, who is yet to be capped, and, like Billy Meakes, was one of the talented bunch of Western Force players before the club was axed from SR. I have been wanting to see Tom English in the green and gold jersey for a little while now. For the last two years English has played well with the Rebels in the SR, as well as with the Melbourne Rising in the NRC. Unfortunate to see such a loyal player not get rewarded. Same for Meakes. Has great ability, and can defend pretty well (unlike Samu Kerevi). I was thinking about putting up a notable commissions section. I also was unsure about the fifth player. I was thinking about Tate McDermott, but Tom Wright has some league experience and is a little bit older. Unfortunately it seems like the FFA don’t care about anything except the A-Leagues pocket. In the commercial aspect of the game, I can see why they are like this. The Socceroos success in growing the game will never see any benefit unless we expand the league and implement pro/rel. 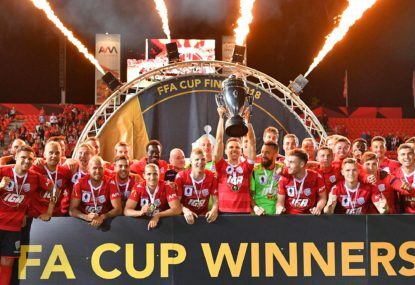 A-League needs a turnaround. For the betterment of Australian football. It won’t happen anytime soon as WSW chairman Paul Lederer said, but, we need it nonetheless. My point was that Australia, in many ways, is up to date in most sports we are good at. As for football, we are one of few countries not to have Pro/Rel. Firstly, Australia needs to have at least 14 to 20 teams in the first division, followed by a league fixture consisting of thirty-odd matches to bring the standard up to the rest of the world. Unfortunately the Nix would have to go. Then, a second division would have to be implemented, whether divided into nation-wide or state-wide. A-League and Socceroo fans should expect better from Australian football, that’s why me moved to Asia, didn’t we? Many teams in the first division of Greece, Croatia and Poland have embarrassingly low support. Whether it’s small attendances in the crowd or barely any members. 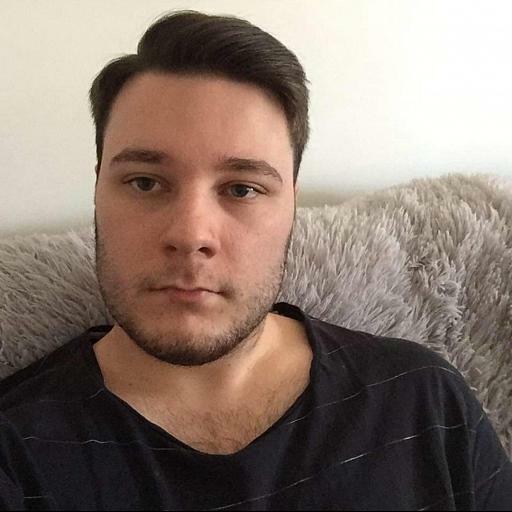 However, Australia is very different, in that, we haven’t had relegation at all and most of the European countries have had it since the inception of their league. Australian football would gain a lot of support with promotion and relegation. And, the FFA would have more respect, Something they haven’t had much of in recent years. I would agree, however, after his great performance with Croatia at the World Cup I can’t see him leaving them anytime soon. Plus, I would prefer a domestic coach, like Postecoglou, Arnold. Graham Arnold is a great coach, but it wasn’t that long ago he was coaching in the A-League. Just like Popovic, Aloisi and former Socceroos coach Ange Postecoglou. I guess all one has to do is win an A-league title or two and have a dip in form from the current boss to get a look in. 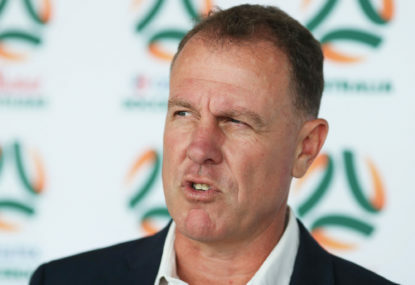 I don’t expect him to be the socceroos coach, but I think he’s a great coach and it would be a shame to not see him in the men’s game. Plus, I see Graham Arnold leaving anytime soon. Would love to see Eddie Jones or Steve Hansen. I don’t think Eddie will coach Australia again, though. And after so many years with NZ, I can’t see Hansen coaching us after his done, either. Personally, I would prefer Larkham to take over the reigns once Cheika’s tenure comes to an end. If not, then one of the Aussie Super Rugby team coaches like Daryl Gibson, Brad Thorn or Dave Wessels. I was making a slight joke at the fact that Beale, if he was to take drugs, would do it now rather than in 2016. Why? Because Australia is playing poorly right now and in 2016 we weren’t as bad. And, Israel Folau’s beliefs are less disappointing because the majority of Australia believe in quality for both Heterosexuals and LGBT people. Beale wasn’t even doing any drugs, someone else was. Furthermore, consuming drugs is a health, medical problem and should be viewed upon in such a way that does not condemn the individual too harshly. With Arzani, Mooy, Boyle and Leckie not playing, our chances look very slim. But, Mabil and Ikonomidis have been very good replacements. At the time of writing the article, Japan were atop of the group. Plus, my opinion is a Japan win against the Uzbeks. And, if it were a result in favour of Uzbekistan, Japan will beat Australia and at best go to the Final, at worst, go out in the Semi-finals. Would love to see a roar.com.au app in the App Store and Play Store. Thanks. I’m more surprised Beale is hanging around people taking drugs in 2016, when Australia weren’t as bad, rather than now, where Australia is at one of its lowest points in recent history. This was from 2016 and Beale apologised straight away. I’m more disappointed in Israel Folau and his ‘anti-gay’ stance than this. The Wallabies need to get back to winning ways. Especially since the media are having a field day on them, both on and off the field. Couldn’t agree with you more. 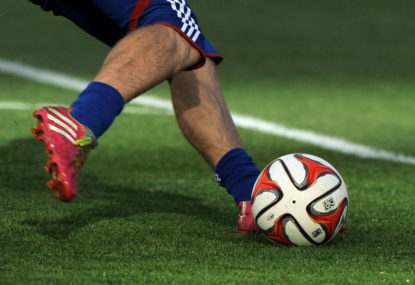 The AFC and FIFA are definitely keeping an eye on ASEAN. The idea of a sub-continental football tournament makes a lot of sense when factoring in population size, marketing/sponsoring/broadcasting rights and footballing prospects. The ASEAN nations have already seen the benefit of an expanded Asian Cup, who have four, including Australia, participating in the event. I agree. However, Japan has always been a tough game for Australia regardless of their form. I also think Iran, had they won against Iraq and played South Korea in the Semi-final, would’ve tested them like no other team, besides us, of course. There’s no doubt Australia had some luck come our way, as did South Korea. I also think, like you, that the best teams played in the final and the best team won. Will that be the case for this tournament? It depends, but I think it’s almost certainly going to happen. You don’t think if it wasn’t for the UAE or Iraq, Australia’s chances would’ve been much different?